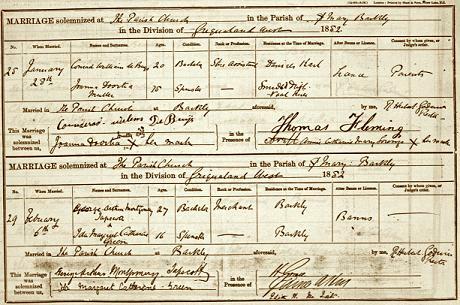 Johanna Dorothea Muller and Coenraad Willem De Buys were married at St. Mary's Church, Barkly West on 28 January 1882. Johanna was already pregnant with their first child, Petrus which could be why they got married in an Anglican church instead of in the Dutch Reformed Church. Coenraad was listed as a member of the Dutch Reformed Church in Griquastad in 1882. 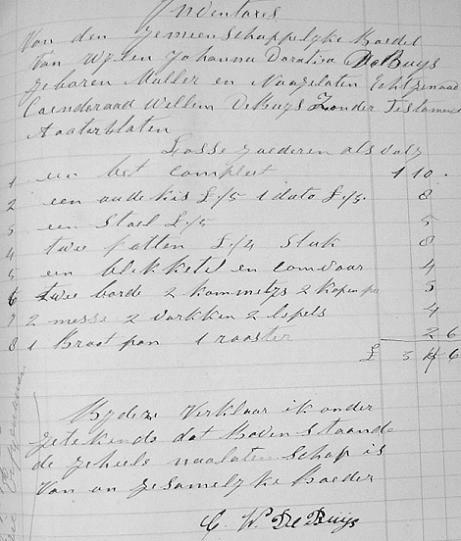 The marriage certificate shows that Johanna could not write as she signed her name with a cross, Coenraad, however, could write. She had given birth to three children: Petrus who was 10 years old; Coenraad Willem, who was 8 years old and Susara Gesina, who was 6 years old when Johanna died. Coenraad died several years later, in 1901. Coenraad and Johanna are my great-great-grandparents.